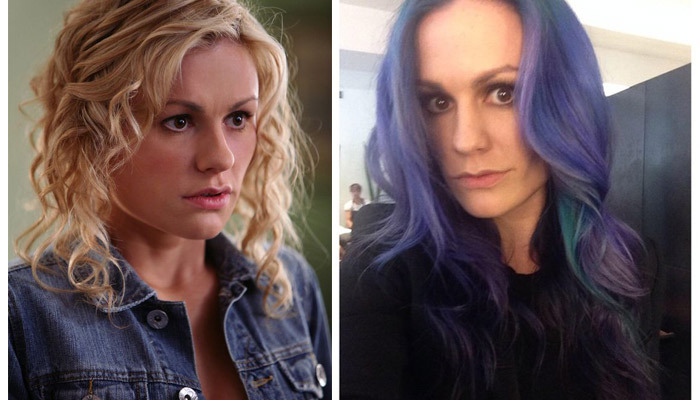 Now that True Blood actress Anna Paquin is no longer relegated to Sookie’s signature sunny mane, she’s opted for a mermaid shade. Anna shared her tress transformation on Twitter, saying “. @Auracolorist just fulfilled my teen dream of being a mermaid.” The the purple-blue hue was created by Sally Hershberger Colorist Aura. What do you think? What would Lafayette say?